DITCH THE WINTER DRY SKIN ITCH AND SAVE $23.63 TODAY WITH OUR WINTER WEATHER TRIPLE PLAY. All organic, made fresh from scratch, artisan quality. I promise you'll see and feel a difference or I'll refund your money. There just aren't cleaner, more effective lotions in any store. Our Sweet Potato and Melon Fresh lotions are packed with natural vitamins and other micro nutrients like A,B,C,D,E, and S.O.D. (Superoxide dismutase). These are some of the most powerful anti-oxidants in the family of plant polysterols.
. We never dilute things to save money. You get full strength skin food in every bottle. Ditch the Itch! If you're ready to ditch the itch of dry winter skin, just tell us how many sets you want and we'll have real organic skin rescue therapy on it's way! Don't miss out. This sale ends precisely at midnight PDST Sunday night! When the timer hits 00:00:00 this triple play ends. 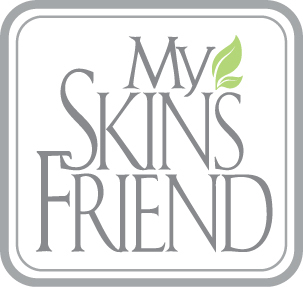 One of the main focuses of My Skin's Friend is to be green and natural and serve the Earth. We have methods in place to make sure that all products are completely fresh. However, we wanted to take this further. One of the other decisions we made because of this was to keep our labeling and packaging simple and clean. We want to be friendly to the earth at every step of the way, which means there is no need to use unnecessary colorants and inks on our packaging materials. Similarly, in the creams and products themselves, there are no harsh chemicals or other ingredients that could actually damage either the skin or the environment.